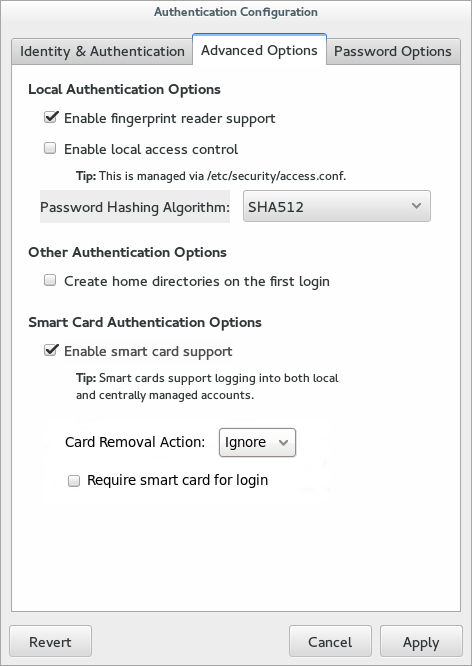 When there is appropriate hardware available, the Enable fingerprint reader support option allows fingerprint scans to be used to authenticate local users in addition to other credentials. There is one option to enable support for fingerprint readers. This option can be used alone or in conjunction with other authconfig settings, like LDAP user stores.